Nicola at the Buddhist Temple in Kamakura. Nicola on the campus of UEC in Tokyo. 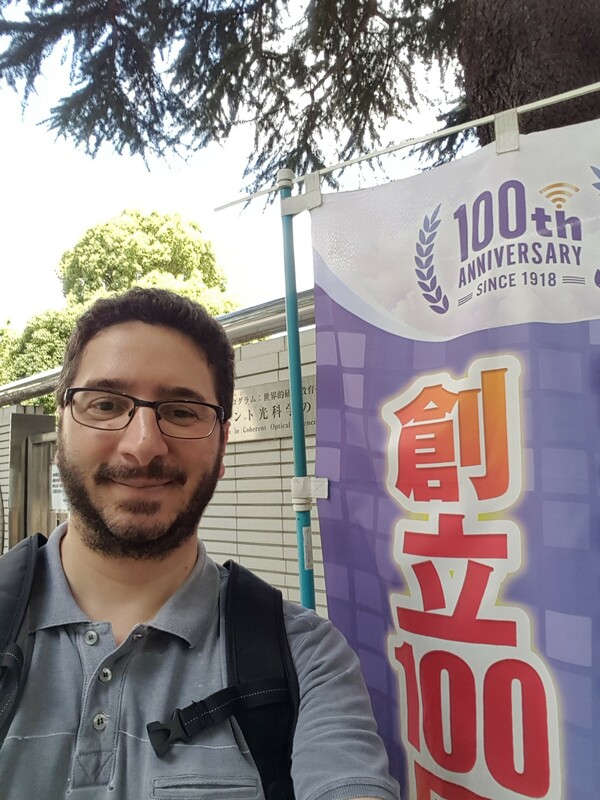 Hello from Tokyo, Japan, where I am working at the University of Electro-Communications (UEC) for six weeks this summer. I am visiting the lab of Prof. Nattapong Kitsuwan. Some of you may remember Nattapong, also known as Beer. He was previously a post-doc in CONNECT. Beer is famous on YouTube – his channel has over 95,000 subscribers! The main aim of my visit is to start a collaboration between Trinity College Dublin and UEC on the subject of “wireless edge caching for a vehicle-to-infrastructure scenario, following an integrated optical-wireless approach”. This collaboration also involves Prof. Eiji Oki, an IEEE Fellow from Kyoto University. UEC has plans to send one of their best post-grad students to visit us at CONNECT in Trinity next year. The fact that large institutes such as UEC focus solely on Electrical Engineering and telecoms testifies to the importance of these subjects in Japan. This shouldn’t come as a great surprise since Japan already awards the Kyoto Prize in Advanced Technology – one of the main prizes worldwide for Electrical Engineering and related areas. It has been won previously by, among others, the inventor of Kalman’s filter. Tokyo is super-organized despite being a huge city with more than 37 million people living in its metropolitan area. I find it very easy to move around with public transportation. The city is preparing to host the 2020 Olympics but I see none of the hysteria that might be expected due to delays. That, to me, seems to be a sign that they are quite on time with their preparations. The punctuality and organization of Japanese people is noticeable. They are always very polite and friendly. It is interesting to see the great respect that is shown here for teachers; they are called sensei which, literally, means “person born before another”. I am looking forward to this respect from my students when I return to Ireland! The Japanese writing system is fairly complex. I am managing with the few English words that appear on ATMs, at train stations, etc. That’s normally enough to orientate yourself. Japanese script consists mainly of three types of characters; Katakana (e.g. used for foreign words), Hiragana (Japanese words) and Kanji (which is based on Hiragana and groups different symbols into yet new ones). Kind of complicated, isn’t it? Overall, Japan is a really fascinating place. There is a lot of outstanding work in telecoms research. Ancient tradition and modern, cutting-edge technology blend in a unique way that has few rivals in the world. Mata aimashoo! See you soon! 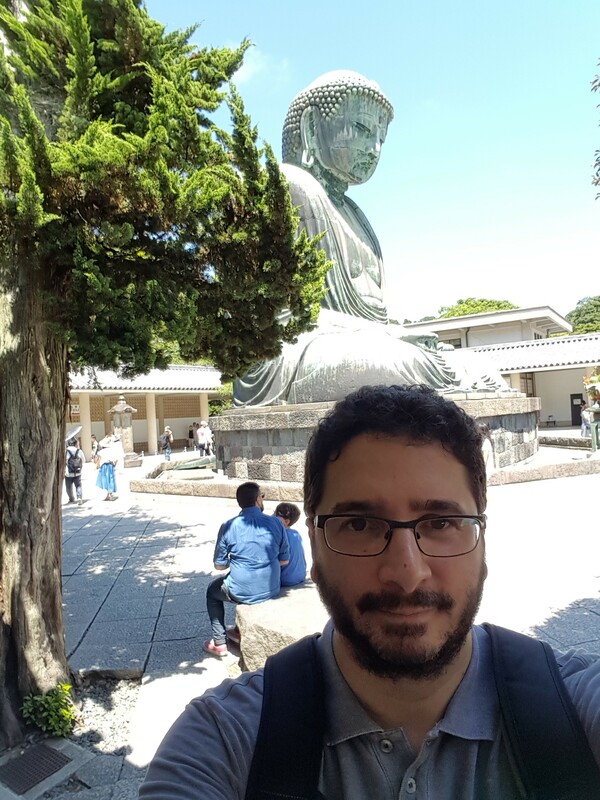 Dr Nicola Marchetti is Ussher Assistant Professor in Wireless Communications at Trinity College Dublin.